Nikk Ferrari's talent, recording, and performance skills have landed him in world class recording studios and facilities from Boston toTampa to New York and Los Angeles. Working in state-of-the-art recording facilities with the music industry's most [successful, knowledgeable, proven producers] and recording engineers Nikk has gained invaluable knowledge and experience from the industry's most sought after and respected masters. After a month of pre-pre production rehearsals a hit Song "Ticket for Love" on the radio and a live performance at the Car Palace (following the New Kids on the Block and with over 3,000 screaming females) Nik decided it was time to take Tazara to the next level. 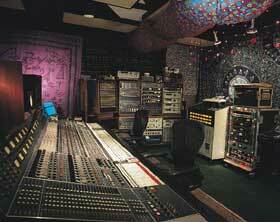 Nikk called on renowned record producer Dennis Mackay (Judas Priest) to steer the helm. 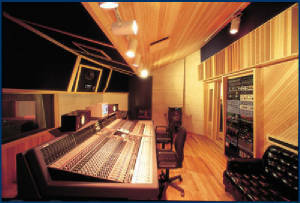 Recording studios from Connecticut, Massachusetts and Rhode Island were investigated and Blue Jay Recording Studio in Boston was selected for the project. 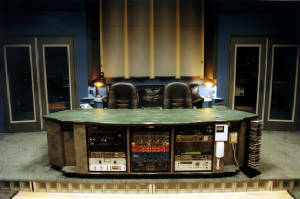 A seven million dollar recording facility, Blue Jay Recording Studio was built underground making it a total RF shield and supports 60 tons of earth. 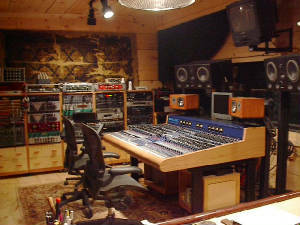 Blue Jay Studio was just recently purchased by Backstreet Boy Kevin Richardson and writer/producer Marcus Siskind from former owner and founder Bob Lawson. It may be important to note Paul Curcio's Music America where Metallica's first album "Kill Em All" was recorded and other great studios were not listed below.